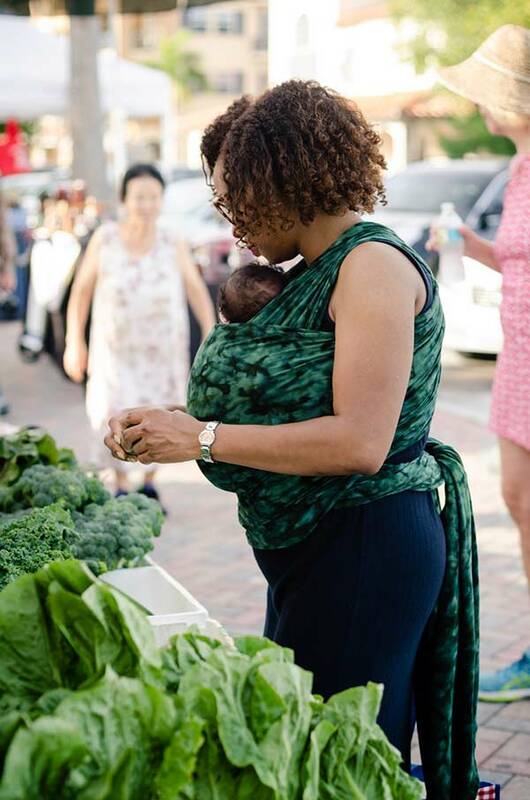 Bring the deep and dark shades of jungle green with you wherever you go when you carry your baby in the Wrapsody Maya wrap. 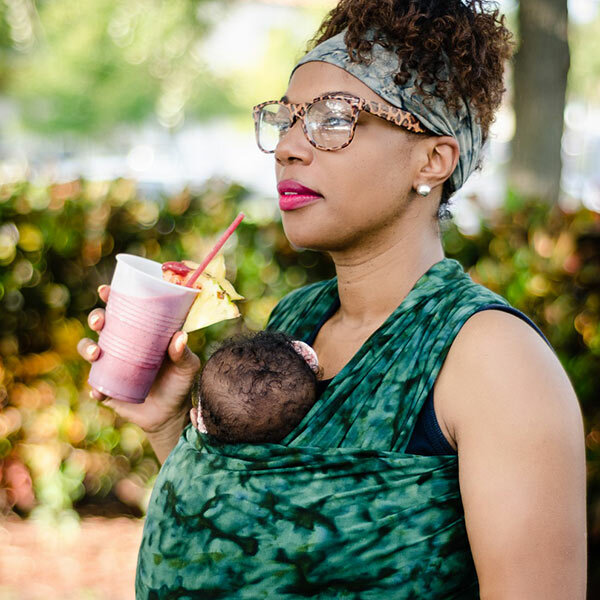 Named for the amazing Maya Angelou, Wrapsody Maya will keep you looking fabulous while staying connected in comfort. 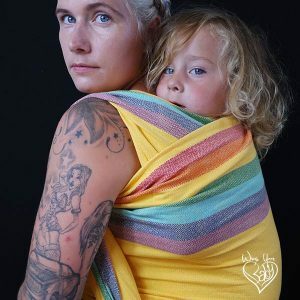 Wrapsody Maya is made from 100% cotton that is strong, silky-soft, and lightweight. 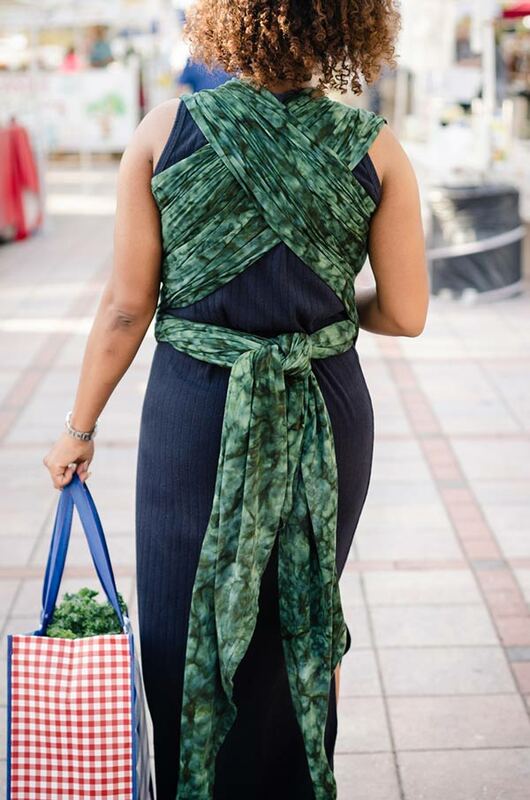 Wrapsody uses the perfect material for those who want some stretch without the limitations of a stretchy wrap. We specifically select this Jersey Knit for its strength and comfort. Like all the best baby gear, Wrapsody Maya is machine washable and will not pill or fade with use and care. 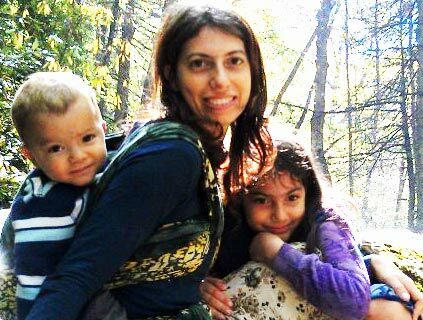 Wrapsody Maya is sewn and batiked in Bali Indonesia by a small business owned by a single mom. It is safe and comfortable in front, back, or hip carries. 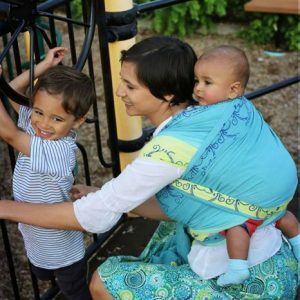 Wrapsody Hybrid Maya will comfortably carry your baby through toddlerhood and up to 35 lbs. 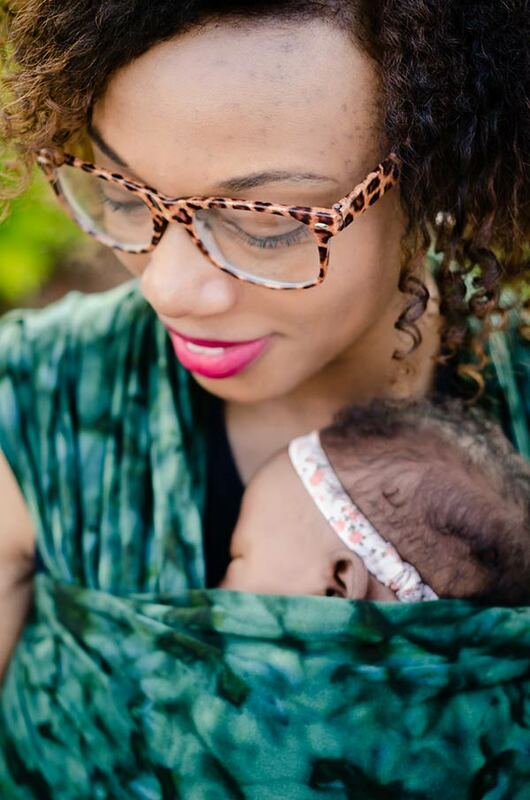 It is not just tested for safety to that weight, it is tested by moms for comfort up to that weight! 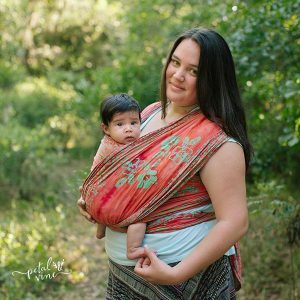 Because of this material, you can pretie Wrapsody Maya so you can easily pop baby in and out of the wrap like a Moby wrap. 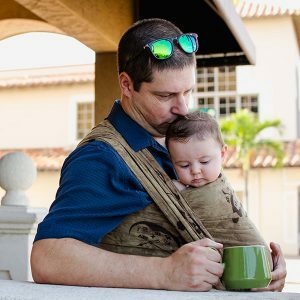 Yet it has the strength to support even heavy toddlers. And you can use it for the same carries used for woven wraps, including back carries.